Bi-folding doors can give your home a new, characterful element, while also offering you light and versatility. These flexible walls of glass are an impressive design feature in their own right, while also offering the convenience of a 90% clear opening; almost double that which is traditionally found in more traditional doors. 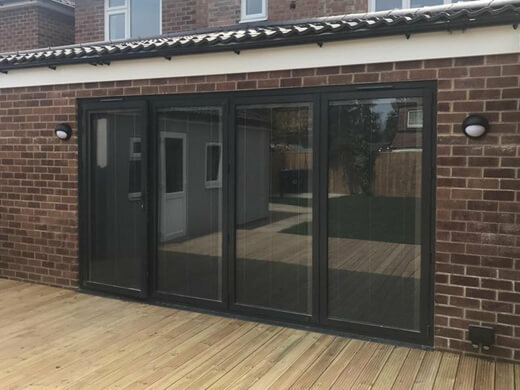 Bi-fold doors have recently become highly popular with homeowners who are looking to make their space more adaptable to the changing needs of everyday life, and are often used in extensions, renovations, and new build homes to bringing a modern edge to the property. These doors are not limited to use in modern buildings, but can also be used to complement the beauty of Georgian, Victorian and Edwardian architecture, adding a touch of modernity to more traditional styles. 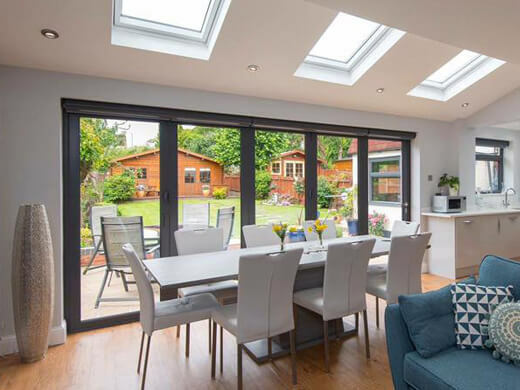 Why Choose Our Bi-Folding Doors? 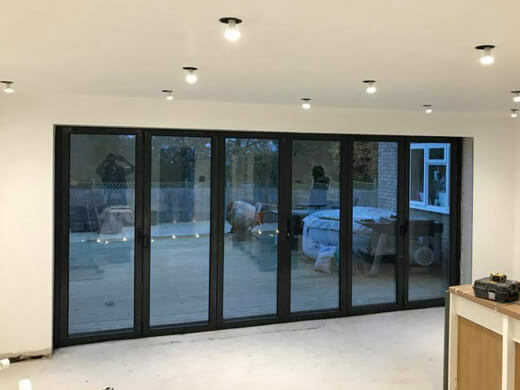 Operating in a number of Cardiff and South Wales homes, we have installed bi-folding doors in a variety of properties, as well as for commercial projects. We can help you choose and install your new aluminium doors with ease. Over the years we have installed bi-folding doors for homes and commercial properties across South Wales. 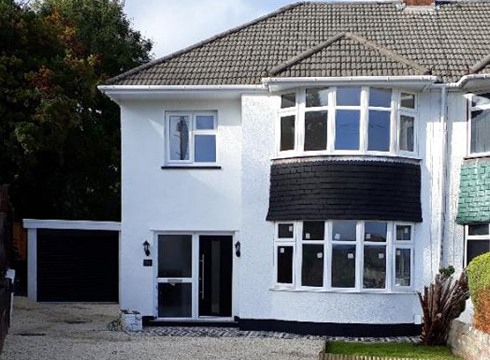 In this gallery you can see some of the incredible results we have been able to achieve for our customers. This will help you envision how bi-folding doors would look in your own property. Our bi fold doors are highly secure, fitted with ERA hardware and a multi-point locking system. This high security locking mechanism is also backed with a 5* security guarantee as standard. They have PAS 24 and Secured by Design accreditation and internal glazing beads, preventing glass from being removed from the outside. 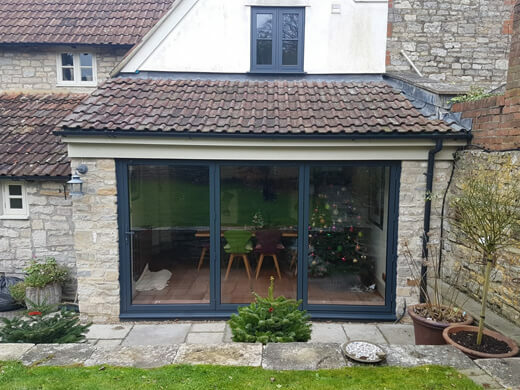 Using an aluminium frame and slim line design means our bi-folding doors require very little maintenance, apart from an occasional wipe down with warm soapy water to keep them looking fresh. You are able to keep them looking as good as new, with little effort or expense. 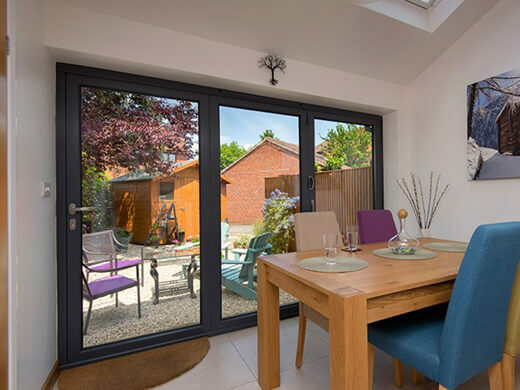 We consider ourselves experts in installing bi-fold doors. Our team of experts is on hand from the minute you enquire to help you choose and install your new bi-folding doors easily. Placing an order with us and tracking its progress is simple. Call us any time to check how your bi-fold door project is progressing – we’re here to make sure your purchasing experience runs as smoothly as possible. 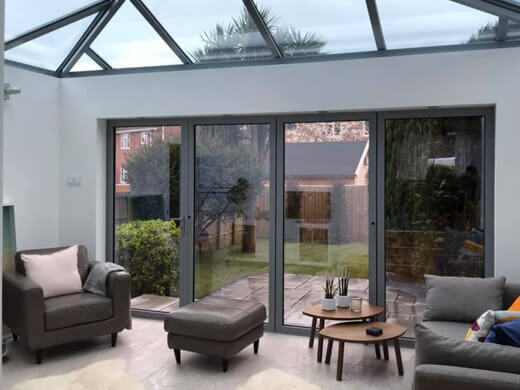 If you would like any further information regarding our bi-folding doors in the Cardiff and South Wales area, please fill in our online enquiry form or call us on 02920813488.